Lloyds and Schroders have confirmed a ‘strategic partnership’ which will see them form a new financial planning joint venture and Schroders handed a £80bn investment mandate. The pair said they want the financial planning firm to be among the top three biggest in the UK within five years and aim to change the way Britons save and invest. In an announcement to the stock exchange, the groups said they are entering into a strategic partnership to create a “market-leading wealth management proposition” that will combine Schroders’ investment and wealth management capabilities with Lloyds’ client base, distribution and digital capabilities. Lloyds will transfer 13 billion pounds of assets and associated advisers from its existing wealth management business to the joint venture, and a further 400 million pounds of existing private clients assets will transfer to Schroders as soon as possible, the companies said in a joint statement. Lloyds will own 50.1% of the share capital and Schroders the remaining 49.9%. Schroders, Britain’s second largest listed fund management group by assets under management and Lloyds Banking Group, Britain’s biggest retail lender, said earlier this month they were in talks on a joint-venture agreement. The two companies said the joint venture would combine Schroders’ investment and wealth management expertise and technology with Lloyds’ hefty client base and distribution network. Rainbow, who has worked at Schroders since 2007, will be appointed chief executive, while Antonio Lorenzo, chief executive of Scottish Widows and group director of insurance & wealth, will be chairman, subject to regulatory approval. “The aim is to become a top three UK financial planning business within five years,” said Antonio Lorenzo, director of insurance and wealth at Lloyds and Chief Executive of its subsidiary Scottish Widows. The joint venture will launch by the end of H1 2019 and the groups said it will aim to become a top three UK financial planning business within five years. Lloyds says the partnership will also accelerate the development of its financial planning and retirement business. 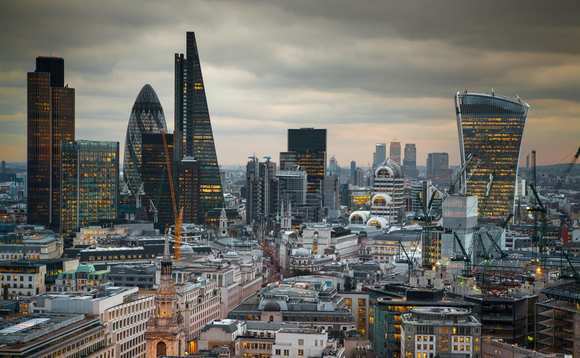 Both firms say they see “significant growth opportunities” in the financial planning and retirement market and will aim to become a top three UK financial planning business within five years. “I am delighted to be announcing this exciting partnership with Schroders and the creation of a new market leading wealth management proposition. 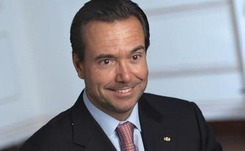 This provides a strong platform for growth and is a further step in the delivery of our strategic objectives,” António Horta-Osório (pictured), group chief executive of Lloyds, said. The new partnership between Schroders and Lloyds will also see Schroders awarded an £80bn mandate for the Scottish Widows Investment Partnership (Swip) money which is being moved away from Standard Life Aberdeen. The pair also said they would be considering other opportunities to work together, including advice and investment propositions for Lloyds’ retail clients.